A single focus on Performance, now with two finish options. It's not easy to improve on perfection. But we did. Since their introduction in 2015, Ft. Worth irons have been the choice of many accomplished players around the world. Ft. Worth irons were designed for highly skilled players … by highly skilled players … who insist on the accuracy, feel and consistency their games demand. However, Ft. Worth irons utilize a number of innovative technologies to add an element of forgiveness to their classical blade design. 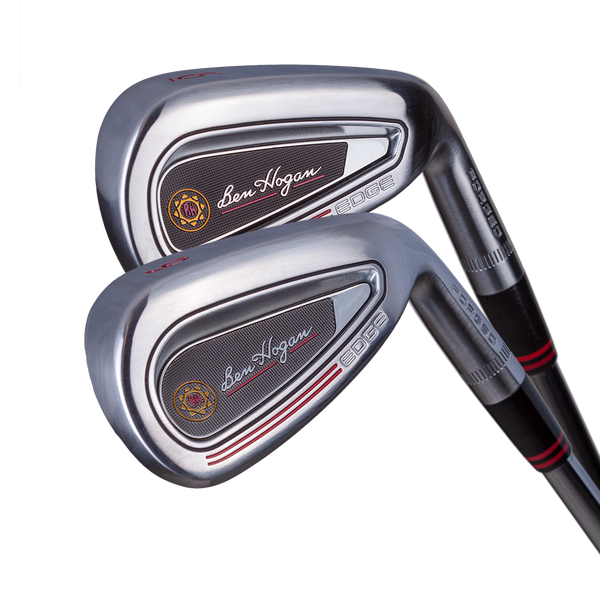 The engineers at Ben Hogan Golf Equipment Company have managed to improve on the performance and aesthetics of the original Ft. Worth irons with the newFt. Worth BLACK and WHITE irons. Ft. Worth BLACK and WHITE irons are built on the same 'chassis' of the original, but now incorporate a number of subtle (and not so subtle) changes to make them even better. As Ben Hogan once said, "There are no short cuts in the quest for perfection." We don't think so either, that's why we constantly look to improve our club designs and did so with the new Ft. Worth BLACK. We think Mr. Hogan would be proud. 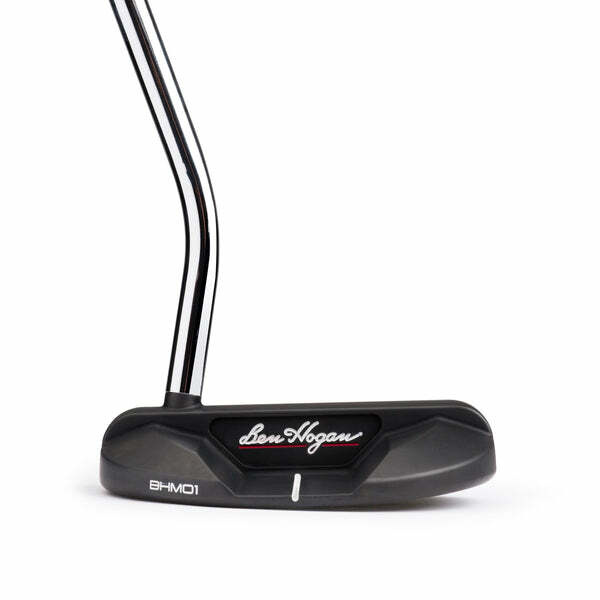 Every Ben Hogan product is designed to deliver outstanding performance, first and foremost. But we also understand that discerning golfers demand that their equipment be aesthetically pleasing. That's why Ben Hogan irons and wedges always look as good as they perform; with no unwieldy top-lines, sharp edges or 'clunky' cosmetics. 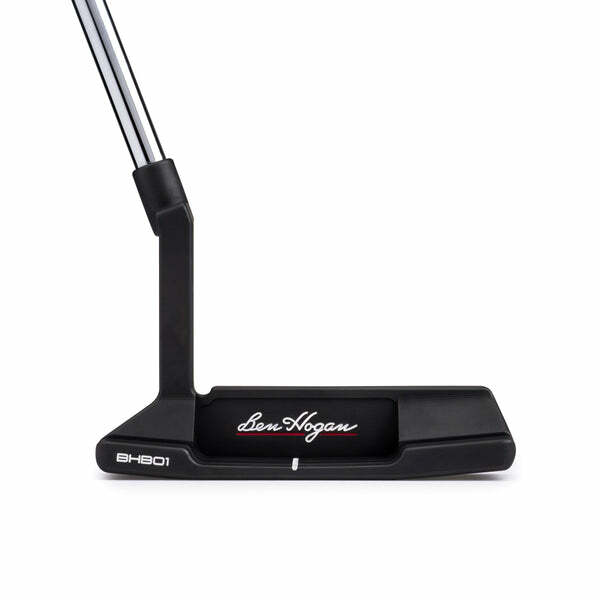 In short, Ben Hogan products always play as good as they look. But we also understand that golfers sometimes have different preferences. That's why we now offer Ft. Worth irons with a choice of two finishes. Ft. Worth BLACK irons utilize a proprietary finish called Diamond Black Metal. In addition to reducing glare, the darker finish provides better contrast with the golf ball. During our testing process, many better players indicated that this helped them with shot alignment which, in turn, helped them hit incredibly accurate iron shots. The Diamond Black Metal finish is incredibly durable; much more so than 'painted' dark finishes used by other companies. The Diamond Black Metal finish reduces wear on the grooves so better players can impact the spin necessary to shape shots left and right, or flight shots up and down. The Diamond Black Metal finish adds no weight to the club head. Ft. Worth WHITE irons have a nickel-chrome finish for players who prefer a more traditional look. Nickel-chrome is also very durable, and has been a proven way to protect forged club heads and ensure they look great for years to come. Either way, the Ft. Worth BLACK or WHITE irons and will deliver that soft, buttery feel that all Ben Hogan forged irons and wedges are famous for. Discretionary weight positioned for solid contact and more control. Our Dynamic Progressive Weighting System allows our engineers to manipulate more weight than ever before thought possible in a single-piece forged head. And while our unique Depression Cavity design continues in the Ft. Worth BLACK irons, the size, shape and depth of each has been modified slightly to create even more precise shot trajectories. This creates higher launch angles in the longer irons to hold greens on approach shots and lower, more penetrating shots for better control with short irons. Plus, by optimizing the geometry of the Depression Cavities, we've made the Ft. Worth BLACK irons even more forgiving. Their larger size in the long irons allows us to put more mass around the perimeter of the club head in the long irons where mis-hits are more likely. In the shorter and scoring irons, our engineers have 'tweaked' the Adaptive Perimeter Weighting System slightly and have positioned more mass behind the center of the club face for an even more solid feel. Modified sole shapes independently designed for each specific iron. 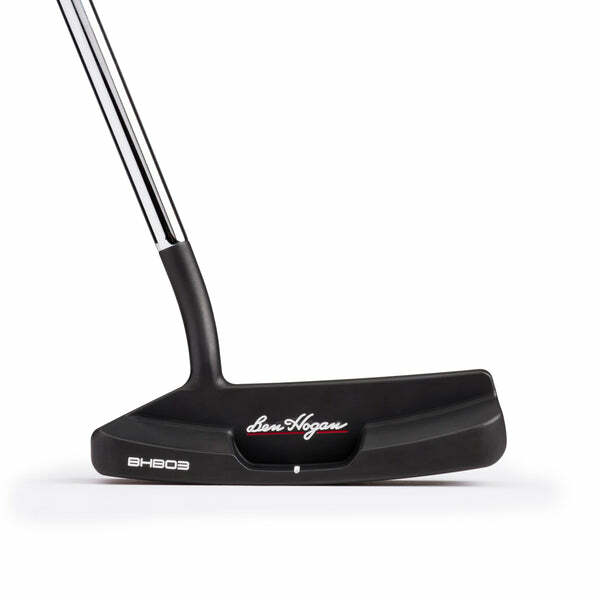 Ben Hogan's V-Sole technology has been continuously improved by the company. The technology combines a high bounce leading edge and low bounce trailing edge. This often copied … but never replicated … design allows for easy manipulation of the clubhead without changing the loft no matter if you are facing a downhill, uphill or even side hill lie. V-Sole truly is the most versatile sole in golf. However, feedback from strong players and robot testing indicated that the leading edge could be increased on certain irons, and trailing edge softened … especially with less-than-full shots in the shorter irons. So, in our ongoing quest to design and manufacture the best clubs in golf, we've improved the V-Sole Technology used on the Ben Hogan Ft. Worth White Irons. The sole has been optimized for each iron in the set. In effect, we've strengthened the leading edge from the sole to the face on some of the Ft. Worth White irons, while reducing the trailing edge bounce on others. This allows accomplished players to swing with confidence on both full and less-than-full shots, without fear of excessive digging or having the head being 'grabbed' by any strain of grass. Golf is hard enough. 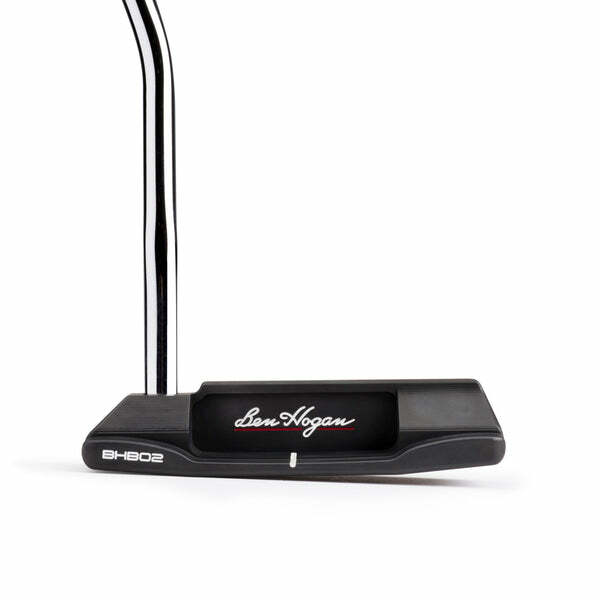 Ben Hogan Golf is trying to simplify it. When we first launched the Ben Hogan PreciseLoft System in 2015, we thought it would add a layer of precision to golf equipment never before seen. We were right. And wrong. The PreciseLoft System has two components. In general, it meant the production of four (4) separate loft profiles (low, mid, mid-high and high) so golfers could select the launch trajectory that best suited his or her style of play. However, offering four (4) separate launch profiles within a set of irons proved to be both confusing and unnecessary. Our 'mid-high' launch profile was preferred for the vast majority of players. 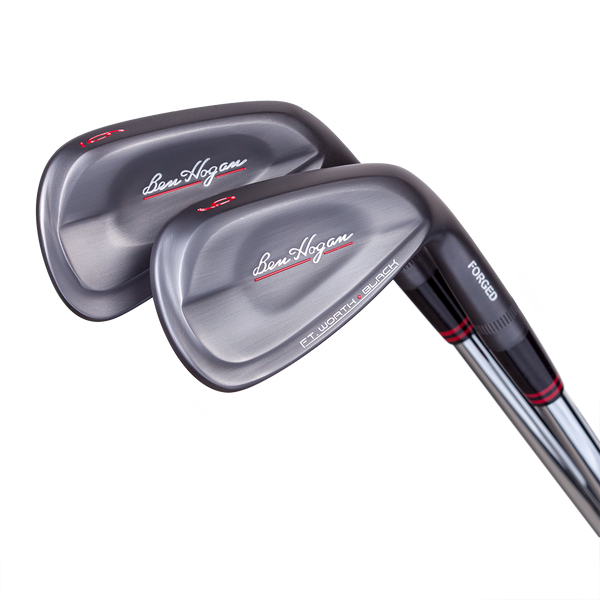 For that reason, Ben Hogan Ft. Worth BLACK irons are available in only that profile and are stamped with 'traditional' numbers. The PreciseLoft System also mandated consistent 4-degree loft gaps between each iron for optimal distance gapping. We firmly believe in consistent 4-degree loft gaps between irons. All Ben Hogan irons utilize this in order to minimize loft 'compression' within your set. Inconsistent loft variations between irons of between 2.5 and 5.0 degrees simply doesn't make sense. It creates little differentiation in distance with long irons, and excessive distance gaps with scoring irons. Extensive consumer testing has proven the Ben Hogan PreciseLoft System to be preferred by serious golfers and, ultimately, lead to lower scores.